A campaign to Prevent the Abuse of Children Today (PACT) in Akwa Ibom, also known as Operation Enlightenment, is underway in Eket Senatorial distirict in Akwa Ibom state. The program sponsored by Stepping Stones Nigeria aims at enlightening the people and getting them to know that child witchcraft is a myth and a form of superstition, and that the prophets and apostles who claim to cure or deliver people from witchcraft are fraudsters and criminals. The campaign team will tour all the local government areas under the senatorial zone. In each LGA a drama will be staged in two schools. 130 t-shirts, 1000 stickers, 500 posters, 800 calendars are to be distributed across the district. So far we have toured 5 local government areas – Oron, Okobo, Urue Offong Oruko, Udung Uko, and Mbo – and reached out to around 10,000 students and teachers. In each LGA we visited, the drama group – the Oron Cultural Troupe – performed in two schools and PACT campaign materials were distributed to students and teachers. On February 28 we toured Oron LGA. The drama group performed at Infant Jesus Secondary School, Mary Hanney Secondary School. Over 3 thousand students turned out to watch the performance. Some asked questions and shared their ideas and thoughts about witchcraft-related abuses in their communities. The PACT team paid a courtesy visit to the paramount ruler of Oron, HRH Odiong Akan. On March 1 The campaign team toured Okobo LGA. The drama was performed at Methodist Primary school Nsie and Comprehensive Secondary School Amamong. Over 2 thousand students watched the performance. We later paid a visit to the paramount ruler of Okobo, HRH Owang Ibok, and the village head of Nsie community. While in Nsie, we visited the local police station where two children who allegedly confessed to be witches were detained. The family kept them at the police station for fear that they could be lynched by the members of the community. We met with the head of the police station who confirmed the incident. The matter was reported to the Commission of Inquiry set up by the government of Akwa Ibom state to verify claims of witchcraft accusations. The Commission has invited me to testify before it on Tuesday, March 8. On March 2, we toured Urrue Offong Oruko LGA. We performed at Ubudong Communiy Secondary School and Comprehensive High School Okossi. Over 2000 students watched our performance. We later paid a courtesy visit to the paramount ruler of the LGA, HRH Amasi. On March 3 our team was at Udung Uko LGA. 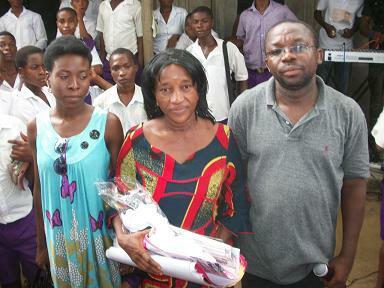 The drama was staged at Community secondary school Edikor and Community secondary school Udung Uko. Over a thousand students from the Community were there when we performed. While we were in Edikor, a man from the community, Victor Effiong Dickson, reported to us that his daughter, Esther, was given witchcraft by a woman in the community and that the daughter was responsible for the death of her sisters. The man had to withdraw the girl from school for fear that she could be killed. I plan to use his case as additional evidence before the commission on Tuesday. Many people we met believed that children can be infected with witchcraft through food or biscuits. Many children have been tortured to confess that they got their supposed witchcraft powers through food or snacks. At the end of our tour we visited the paramount ruler, and gave him a pack of PACT materials (he was not onsite so we left the materials with his wife). On March 4, the PACT campaign team was at Mbo LGA. We performed at Community Secondary Ewang and at Ebughu Grammar School. Over 2 thousand students watched the performance, asked questions and received campaign materials. So far the campaign has been a great success. The 5 LGA we have visited fall under Oron Nation where witchcraft related abuses are said to be rampant. 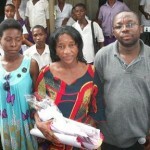 Children alleged to be witches suddenly disappear. They are reportedly killed, lynched or thrown into the river. 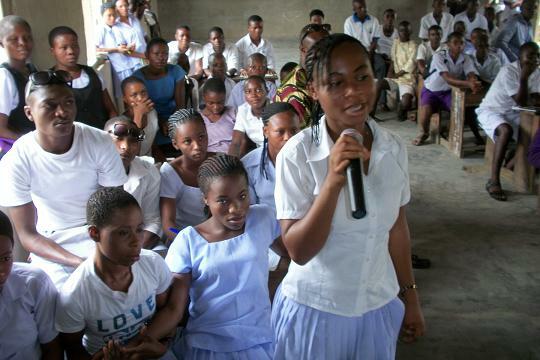 The drama was rendered in the local (Oron) dialect and was well received by the students. The students clapped and cheered during the performance. The message was drummed home to all who watched the drama that child witchcraft was a myth and that the so called prophets who claimed to ‘cure’ witchcraft were fraudsters and criminals. In a school in Nsie (Okobo LGA), some teachers said we could make all the noise we liked about stopping the abuse of children in the name of witchcraft, but that children could actually be witches. No doubt I know that there were some people who watched our drama and still went away with similar impressions. 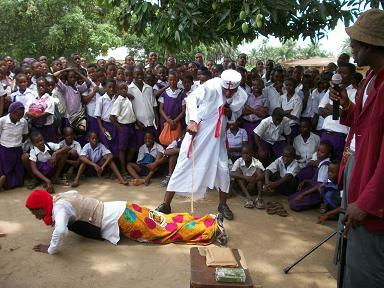 But one thing is clear, the drama challenged the students’ belief in witchcraft, and provoked them to re-examine it. Our performance emboldened them – to challenge or report to the police peddlers of the ancient myth – in a manner that has never been the case in the history of Akwa Ibom state. Leo Igwe in Uyo, Akwa Ibom state. Well done Leo for the tireless work you do in your country for the voiceless people The message that witch-craft is indeed a superstitious practice will have to be constantly drummed into the people over and over again for it to ring home. Old habits die hard. It’s so refreshing to read articles from people like you, who are at the coal-face of the problems in Nigeria. You are a sweet inspiration. I sincerely hope that your family have recovered from the atrocious treatment at the hands of thuggish folk. Wonderful important work. Congratulations and thank you to all concerned. Drama and storytelling are powerful media. Just exciting to meet you on the face book. This is Job well done. Your efforts to organize this team work and carry out the awareness campaign against this myth called ‘witchcraft’ and abuse of children is laudable. Keep it up. In addition to what you and your team have done, government and the people need to work hard to eradicate illiteracy in the first place and improve the economic life of the people. When people are more enlightened through formal education and live above poverty line, this superstitious mindset and and its allied belief system will most likely be things of the past.